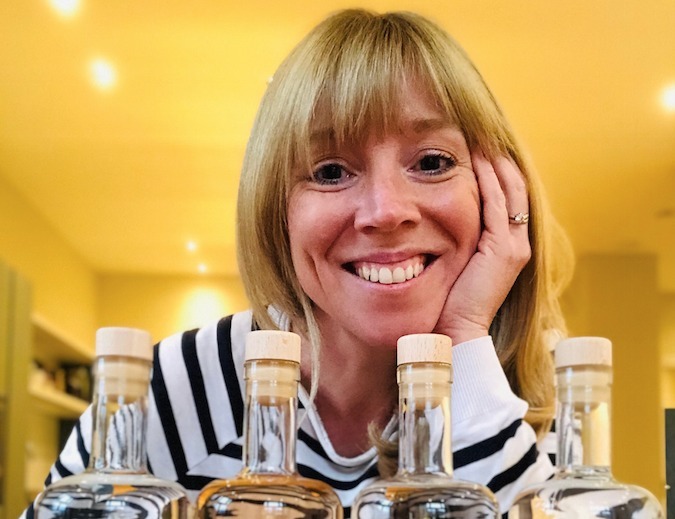 British national Hannah Bayliss, husband Tim and dog live next to the Valkenburg airbase near Katwijk where they distill gin, enjoy beach life and have gotten to grips with the weather. We ended up here in 2015 after Tim sent me a picture of the beach at Noordwijk. We both wanted to live in another country and were debating between New Zealand or the Netherlands. Tim had a temporary job in the Netherlands and I was in New Zealand when he sent me the photo. It was an early morning shot, the beach was deserted and all I could see as far as the eye would go was flat golden sands and blue sky! I just thought, this is an amazing place. Why would we move half way around the world when we could live here? Tim now works for KPMG and we have set up a craft gin business on the side. I think we would describe ourselves as EU citizens. We are both proud to be British, but at the same time, I love where I live now and can not see myself living anywhere else. We have fallen in love with the Netherlands, the country, the people, the weather and most importantly, the opportunities that are here. We have renovated our house here, our dog has a dutch passport, we aren’t leaving! Not really… I try and it gets mistaken for German. It’s something we are working on, but we are not natural language learners… it will take time! Tomatoes! Actually we love the quality of food that is grown here. The fish is amazing and so fresh, the bread is gorgeous, coffee is great…. The only thing we can not get to grips with is bitterballen… it is something about the texture. I think that we must always have had Dutch tendencies. We have become a bit more direct in the way we approach people, but also because of where we live, the beach lifestyle has made us a bit more relaxed. And the outdoors nature of life around here means that our exercise habits have vastly improved! Dafne Schippers because I always have great admiration for athletes who are able to do the most amazing things and are so dedicated and committed. They are today’s modern day superheros. Jan van Speyk, the Dutch naval lieutenant, was the first character for our gins and I really would like to find out if he meant to blow himself up or how much navy gin he had been drinking. I’d also pick resistance hero Erik Hazelhoff Roelfzema because his adventures inspired us to find out more about the area where our distillery now is. Reading his book Soldier of Orange was really quite an eyeopener and bought the history of where we now live to life. Get out of Amsterdam and into Leiden, or the beaches from Noordwijkerhout down to Katwijk. There is so much to do and see. Its much better to take a canal ride through the bulb fields than the city. The restaurants are diverse and excellent quality and there is so much space to take a breath and appreciate where you are! I know people say the Netherlands is overcrowded but I I look out of our window, I just see bulb fields. When I go running I’m on the beach one moment and on a street the next. But everyone has their own space, the cars, pedestrians and bikes. When we were doing background research for our Chow Hound gin I discovered there are 36 square miles of greenhouses in the Netherlands. That is larger than the footprint of Manhattan! Tricky one… I would spend it with Tim, our dog Maggie, walking, going to the beach and watching the sunset with a gin and tonic in my hand. Of course, the sun would have to be shining! Find out more about the Driftwood Distillery here. We’re also giving away four bottles of the distillery’s craft gin via a photo competition on our Facebook page.